Have you heard the joke about the doctor and the patient? At GW it’s told like this: A student walks into the Colonial Health Center complaining of a cold and the nurse says, “We’ve run every test we can think of and the results show you’re out of money.” Unfortunately, this cheesy punchline is a harsh reality for many students on GW’s health insurance plan. GW offers the Student Health Insurance Plan through Aetna Student Health and costs $4,103 for the 2016-17 policy year. Although this number increased after the implementation of the Affordable Care Act, the cost is still unreasonably high when compared to other peer schools that offer the same coverage. It’s time for GW’s current student health insurance plan to have its own check-up in order to reduce costs and better provide the care that students need. Administrators don’t keep track of how many undergraduates enroll in SHIP voluntarily, but some of those students are low-income who are uninsured, on Medicaid or receive bare-bones health insurance subsidized by their state through the Affordable Care Act. All on-campus nursing, health science and international students are automatically enrolled unless they annually fill out an opt-out waiver proving that they’re covered by another insurance plan that meets GW’s requirements. Even insured students may use SHIP if their provider doesn’t cover out-of-network medical care. Ultimately, the largest burden falls on low-income students. These are the students that need affordable university health insurance and rely on this unnecessarily expensive plan. In a sit-down with three students from the GW Roosevelt Institute – a progressive student activist organization on campus that developed the Care for GW policy initiative – I was able to learn more about the health care challenges that students face. The Care for GW policy initiative is a comprehensive list of recommendations that will be submitted to University administrators for review and consideration in the coming months. Sophomore Noah Wexler, who is a member of the Roosevelt Institute, shares a struggle that’s similar to many other out-of-state students. When the cost of SHIP increased by 21 percent in 2011, officials attributed the price surge to the implementation of the Affordable Care Act. But the Affordable Care Act impacted all colleges’ student health insurance programs by placing mandates that standardized the quality of coverage schools must offer to students, driving up premiums across the board. The problem that can’t be explained by the Affordable Care Act is why GW’s student health insurance plan is proportionately more expensive when compared to equivalent plans at similar universities. For example, students at Georgetown and American universities are covered by UnitedHealthcare Student Resources, a similar coverage plan to GW, with premiums at $2,460 and $1,750 respectively. Under the Metallic Rating, a system provided by the Affordable Care Act to compare the coverage of different health care plans, GW and AU’s student insurance plans are evenly ranked. GW covers 81.16 percent of expenses with Aetna, and AU’s healthcare covers 81.88 percent with UnitedHealthcare. The coverage is virtually the same, but the difference is that the premium for students at GW is $2,353 more than at AU. GW should start to reform its student health insurance plan by adopting the three-part proposal that will be recommended by the Care for GW initiative. First, GW should end its current contract with Aetna in favor of a less costly plan like UnitedHealthcare. Secondly, GW should offer reduced rates to students who need it most. Graduate students and some international students already pay a subsidized rate so GW should simply extend this option to low-income students as well. Lastly, GW should create different plan options at varying price points to accommodate the health care needs of all students. Plans like these are commonplace at many other colleges, like New York and Boston universities. Although GW has tried to ease the burden of students suffering from health care problems with the Ronald Howard Assistance Fund, it’s an application-only, one semester gift for “unexpected expenses” and is impractical for year-to-year health care coverage. This proposal shouldn’t be ignored by administrators because it’s currently the only proposed solution that would improve student insurance at GW. But this wouldn’t be the first time that student groups have submitted proposals for health insurance reform. In 2013, Student Association leaders submitted a 17-page proposal that suggested improvements to the plan, like bringing an Aetna representative to campus to address students’ complaints directly. Administrators promised to take students’ concerns into consideration, but no changes were made. Officials should consider the Care for GW plan, because it gives the University another chance to live up to its claims of affordability. Without reforms to the student insurance plan, the prognosis is not good for healthcare at GW. 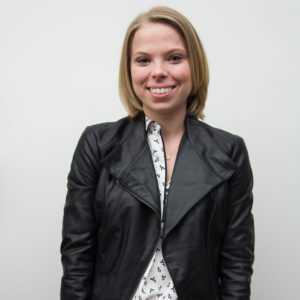 Sydney Erhardt, a sophomore majoring in international affairs, is a Hatchet columnist. This article appeared in the April 20, 2017 issue of the Hatchet.